Designed as a full introduction to the series, this special package deal serves as a great opportunity to preview all the Habitudes® topics and get a feel for how you could use them in your specific environment. 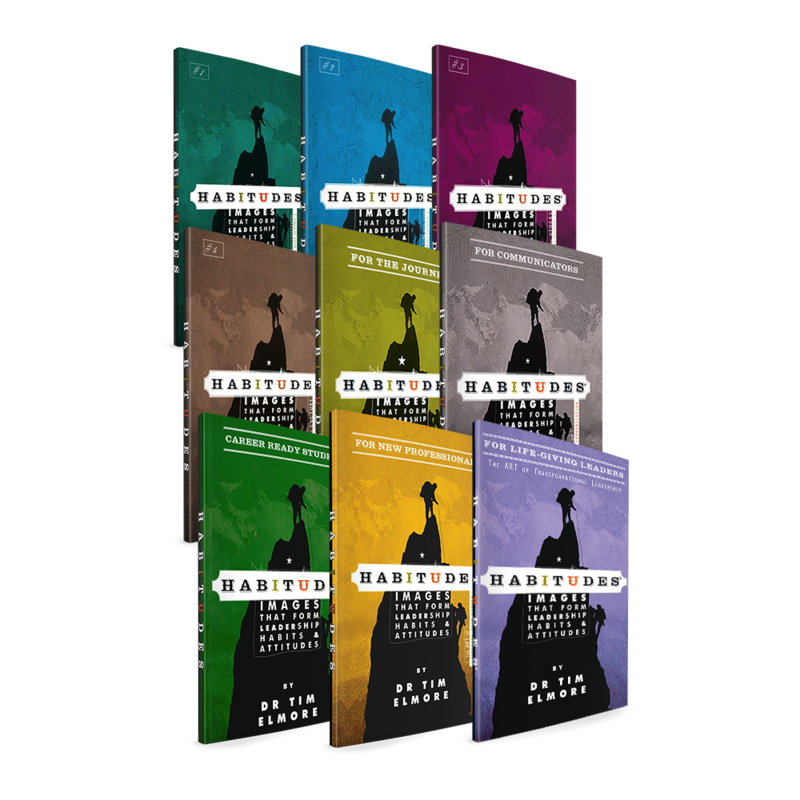 Included are all nine workbooks in the Habitudes: Images that Form Leadership Habits and Attitudes series. The Art of Self-Leadership seeks to equip today’s students with strong character, a healthy personal identity, and self-discipline. The Art of Connecting With Others aims to equip students with the wisdom to create healthy relationships, listen respectfully, and effectively handle criticism. The Art of Leading Others seeks to teach today’s students how to determine their priorities, build an effective team, and do so with the right attitude. The Art of Changing Culture seeks to help students understand what it takes to have an impact on those around them. The Art of Engaging Communication seeks to equip adults with the knowledge and skills to effectively communicate with their young people. The Art of Navigating Transitions seeks to teach students how to make large, critical decisions in their lives. The Art of Preparing for a Career seeks to help students gain the employability skills needed to enter the job market. The Art of Launching Your Career seeks to assist young professionals move from backpack to briefcase. The Art of Transformational Leadership seeks to help students become inspiring leaders who positively influence their community. Also available in the Faith-Based Version.